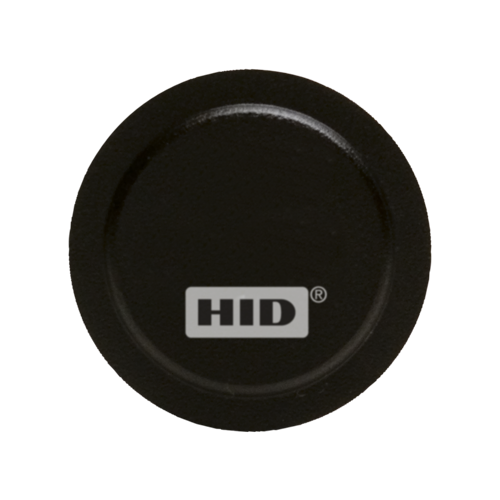 HID's innovative FlexSmart® HID MIFARE Classic Adhesive Tag can turn a plastic ID badge into a HID MIFARE Classic credential. Effortlessly upgrade from prox, magstripe or barium ferrite technology by simply attaching the small, circular HID MIFARE Classic Tag to your existing card. The HID MIFARE Classic Adhesive Tag will also adhere to any non-metallic device, such as a cell phone or PDA, to instantly create a contactless smart card. HID FlexSmart MIFARE Classic Adhesive Tag is ideal for diverse applications such as access control, cashless vending, public transportation, corporate and campus applications, event ticketing, customer loyalty and photo ID cards. 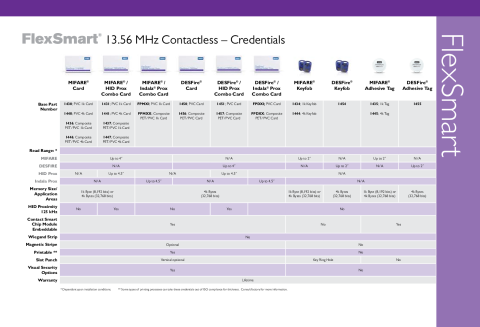 Manufactured to the highest quality standards, HID FlexSmart MIFARE Classic products have the memory structure and capacity to store multiple applications on a single credential. Securely separated sectors, each protected by a set of two keys and programmable access conditions, allow complex applications and provide for future expansion. The data on the tag is protected with encryption keys used in the mutual authentication process. Therefore, no important data will be shared until the tag and reader have been authenticated to each other. High Security - HID MIFARE Classic technology ensures mutual authentication, data encryption and unique 32-bit serial number. Proven, Reliable Technology - Offers extremely consistent read range. Use is unaffected by body shielding or variable environmental conditions, even when close to keys and coins. Fast Processing and Data Communication - Transaction times are less than 100 milliseconds for a typical secure ticketing transaction. 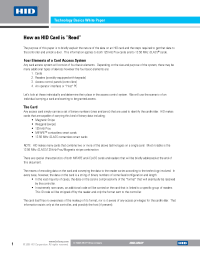 Cost Effective - The benefits of contactless smart cards without the cost of rebadging. Convenient - Easy attachment to ID card or other non-metallic device. Quality - Tag is protected with a lifetime warranty. Multiple Memory Types - Available in HID MIFARE Classic 1K and 4K.